Heated Leather Seats, NAV, Sunroof, Premium Sound System, Satellite Radio, Hybrid, NAVIGATION. ES 300h Luxury trim, EMINENT WHITE PEARL exterior and BLACK W/ LINEAR ESPRESSO WOOD interior. FUEL EFFICIENT 45 MPG Hwy/43 MPG City! CLICK ME! BSM W/PARK ASSIST & PANORAMIC VIEW MONITOR Lane Change Assist, ICS w/Rear Pedestrian Detection, Rear Cross Traffic Auto Brake (RCTAB), NAVIGATION 12.3-inch display, Electrochromatic Rearview Mirror, WHEELS: 18" X 8J MULTI-SPOKE ALUMINUM ALLOY hyper chrome coating, HANDS-FREE POWER OPEN/CLOSE TRUNK power closer and opener w/auto kick sensor and easy closer door, 10.2" HEAD-UP DISPLAY (HUD), HEATED LEATHER & WOOD STEERING WHEEL Windshield Deicer, ACCESSORY PACKAGE Cargo Net, Carpet Trunk Mat, Key Gloves, Alloy Wheel Locks, LUXURY PACKAGE synthetic leather wood console box, Rain Sensing Wipers, Heated Side Mirrors w/Memory & Reverse Tilt, Heated & Ventilated Seats, Wood Trim w/Ambient Lighting, ambient illumination inside handle and door trim, Acoustic Side Glass, Driver Seat Memory, Power Tilt/Telescoping Steering Wheel w/Memory. At Lexus Santa Monica in Santa Monica, we have the new and used vehicles you have been looking for! 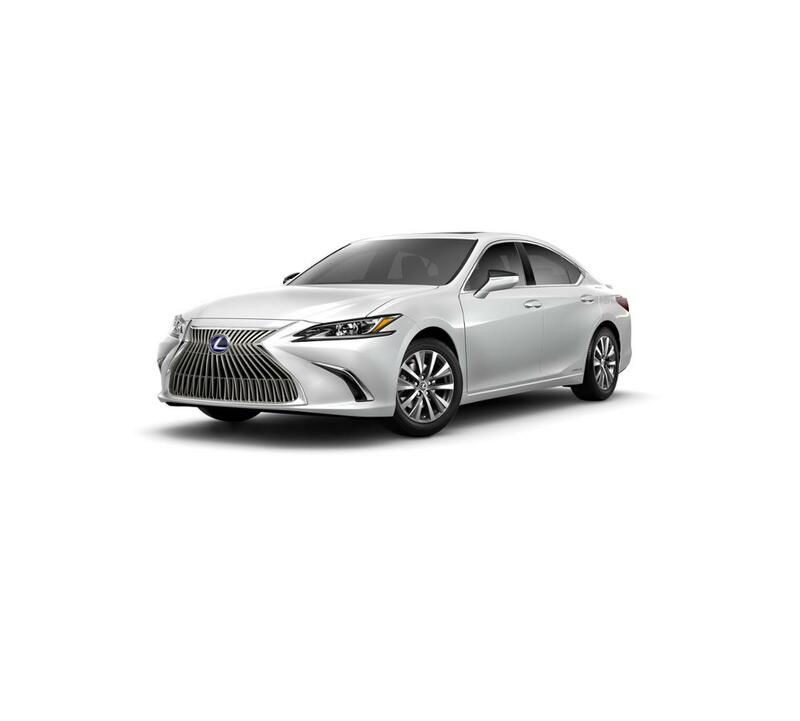 This Eminent White Pearl 2019 Lexus ES 300h Luxury, is available right now at your Santa Monica Lexus dealership. Call us at (424) 229-9998 if you have any questions about this Lexus or any of the other vehicles at our Santa Monica Lexus car dealership.